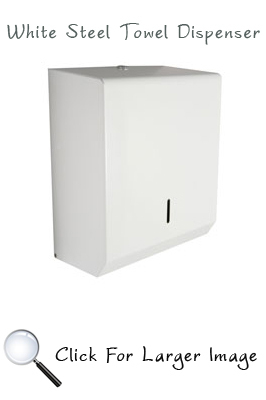 A modern and stylish hand towel dispenser constructed from mild steel with a white powder coat finish . The key lockable unit is designed to dispense either C/Fold or multifold interleaved paper. A level indicator is placed at the front to ensure paper is replaced when required. 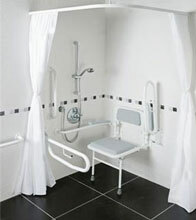 All hand contact areas are protected with a powder coated gloss finish.